September 27 is National Women’s Health & Fitness Day. It is the nation’s largest annual health promotion event for women of all ages. Seeing I am not the greatest example of supersonic health and fitness in Midlife (as I mentioned in Monday's post! ), I thought I'd ask my great friend, and fellow blogger, Sue - from Sizzling Towards 60 and Beyond to share some of her thoughts on this important subject. I was honoured when Leanne asked me to write a guest post. 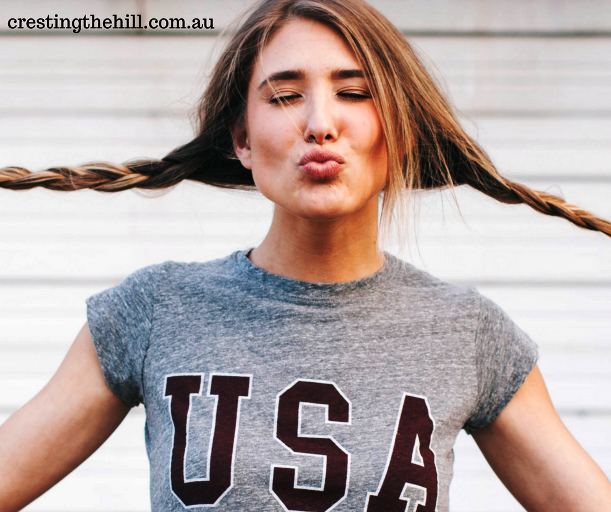 Leanne and I have known each other since we started blogging and she knows how passionate I am about being fit, fabulous, healthy and happy in life. Having just turned 60 in August, keeping healthy is very important to me. I have a darling 3 year old grandson who keeps me busy and I want to be fit and healthy to enjoy spending time with him and also travelling and enjoying life with my husband. In my youth I was quite active, I actually had a ballet studio for my first 10 years of working life. However, like many, children and family life took over for a while and I wasn’t quite as committed to looking after myself. As women, we feel that we need to be there for everyone else and put our own needs last. However, our health and fitness, in mind, body and soul should be a priority. As someone once said to me, you can’t drink from an empty cup. Look after yourself first and your needs and your family will certainly benefit from a healthy and happy wife and mother. Unfortunately, it took until I was 50 to realise this but at least I did and now I want to spread the message to every women – you need to take care of you! At 50 I started running, ran my first marathon at 55 and continue running today at 60. I combine this with regular PT sessions for strength training and eat a well-balanced diet. Of course, I enjoy treats – what would life be without them! I just make sure I keep everything in balance. Want to start being fit, fabulous, healthier and happier but not sure where to start? We can all start with good intentions but not everyone likes running or the gym. Find something you really like and you are more likely to stick at it. Not only will you feel better physically but it will also improve your mental health. Yes, you read that right! Don’t follow fad diets just make healthier food choices and limit your treats. Being fit and active will improve your self-esteem and self-confidence and that goes a long way to learning to love the wonderful woman that you are. 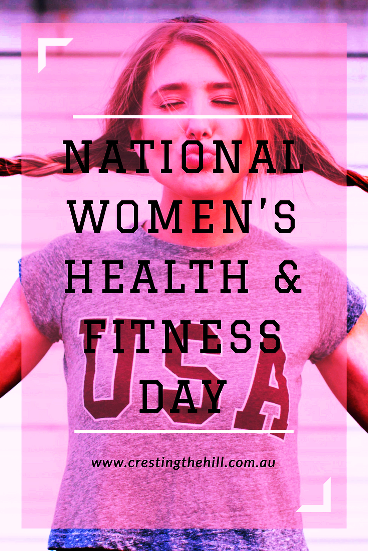 So on this National Women’s Health & Fitness Day what can you do to be fit, fabulous, healthier and happier? I would love you to visit Sizzling Towards 60 and Beyond where you will find more tips on keeping fit and healthy. Thanks for sharing Sue's tips. It's always fun to know just a little bit more about someone. A ballet studio? Fantastic! I didn't know she was a ballet teacher either Jennifer - you learn something new every day - no wonder she's good at exercise! Your story is so inspiring. I'm sticking to walking but I love hearing women over 60 who run and active. She is amazing isn't she Diane? I love reading both Sue's blog and yours Leanne. You are both honest, encouraging and supportive as we thread our way through these middle years. I loved finding out that Sue once had a ballet school!! Great tips for us all. Thanks for the lovely compliment Deb - I think your blog's great too - it's so nice to find like minded women who encourage each other isn't it? 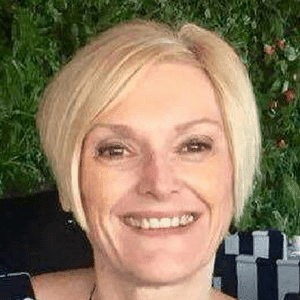 Sue is an inspiration - you couldn't have chosen anyone better for this post. It made it a lot more real Jo - I wanted someone who personifies fitness in Midlife and Sue is the perfect candidate isn't she? Sue is quite the inspiration!!! 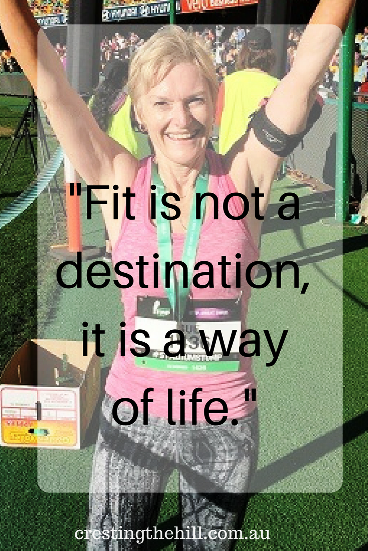 I'm the same Min - I walk every day - and use the elliptical regularly, but I need people like Sue to remind me that it is possible to be really fit at our age and to remind me of the benefits of it too! Thanks for sharing Sue and Leanne. I'm really inspired by the pics I see of Sue out there running when I'm too lazy to go for a walk. And then recently the yoga etc... it's great. I like the idea that it's not 'too late' to improve your fitness and that increasing your exercise at any age has its benefits. Three great fitness tips. Thanks Sue and Leanne, and thanks for linking up at #BloggingGrandmothersLinkParty!